Cheap Weekend Fun in Boston for October 4-5, 2014! I can’t believe it is already October! Here are some fun and free things to do this weekend in Boston for the first weekend in October! Community Day at Tufts: Sunday, October 5, 2014 from 11am to 5pm in Medford. Head to Tufts University for a community day with free music, food, activities and much more! Free and open to the public. 89th Annual Saint Joseph’s Feast: October 3-5, 2014 in the North End. Check out this annual north end festival with processions, music, activities, and more! MICE 2014: October 4-5, 2014 at University Hall at Lesley University in Cambridge. Check out the Massachusetts Independent Comics Expo which focuses on the art of marking comics! Free and open to the public. Roslindale Parade: Sunday, October 4, 2014 at 1pm from Washington Street and South Streets in Roslindale Village. Enjoy the 39th Annual Roslindale Parade with a theme this year of Honoring our Local Fallen Heroes. Rain or shine. Haunted Happenings in Salem: Fun events daily in Salem, MA. Salem has a lot of haunted happenings this October including a free movie night sponsored by Radio 92.9 every Saturday night. This week’s free movie night under the stars in ParaNorman. Chocotoberfest at Taza Chocolate: Every Saturday in October from 1-4pm at Taza Chocolate in Somerville. Celebrate fall with a tasting of goodies! Free to attend. Bank of America’s Museum on Us Weekend: Saturday and Sunday, October 4-5, 2014. Bank of America & Merrill Lynch cardholders can get into select museums the first weekend of every month for free by showing their bank card (per cardholder, not family). Museum of Fine Arts, MIT Museum and other museums across the state participate. 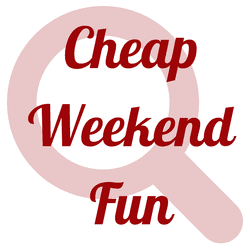 Please let me know in the comments below if I missed your favorite cheap Boston event this weekend! There’s a Poe walking tour on Saturday & the actual dedication is Sunday at 2 PM. Thanks for your always great round ups though!